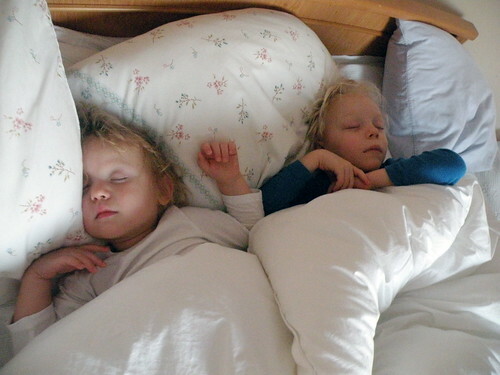 I took this photo of Ollie and Ocean Sunday morning in our bed. Most nights in our house, it is a game of musical beds. Ocean loves to wake us up with crying and she asks for milk. We are trying to wean her this month. Ollie usually is pretty good but in the early morning he comes in and snuggles with us. Sunday, they drove both Nadia and I out. I was up and Nadia was in Ocean’s bed. If they weren’t so cute, I would be very annoyed by them.